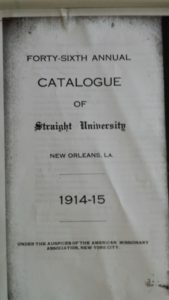 A copy of the Straight University catalogue for 1914-1915 class, archived at Amistad Research Center. In less than a month, I begin graduate school so I don’t know how much time I’ll have to dig into my family’s past, let alone blog about it. I’m thrilled beyond belief to be getting a masters in creative writing, but I know that this beginning will mean other things will end, maybe even this blog. Endings are always hard for me and make me feel guilty. 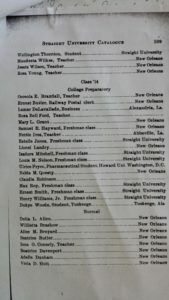 But some recent ancestry news I received is easing my transition.While my third cousin was on a research/anniversary trip to New Orleans some weeks back, she found a Rosa Belle Ford listed as a student at Straight University. The name was in a college catalog archived at the Amistad Research Center. Because of the last name and the fact that Rosa Belle’s hometown was noted as Ocean Springs, Mississippi, our ancestral home, my third cousin wondered if the woman was my kin. She wondered correctly. 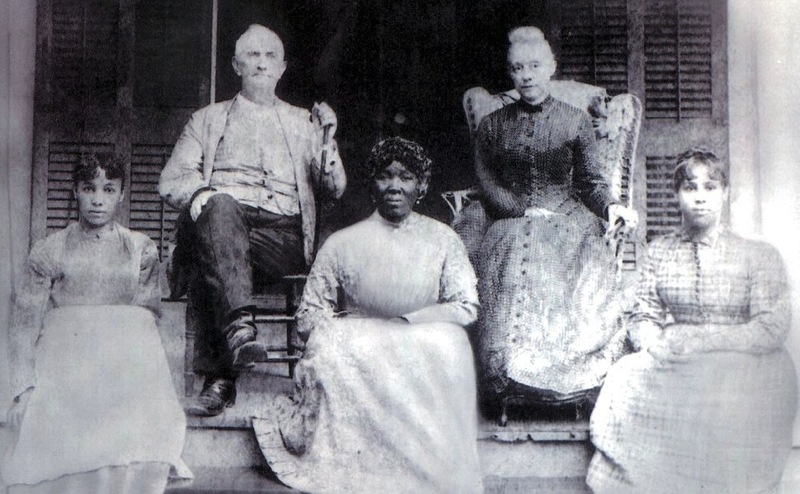 Rosa Belle Ford was my grand aunt. Other than seeing her name on some census records and a different cousin’s recollection that she may have been a teacher, I knew nothing else about this woman, my grandfather’s sister. But it looks like my other cousin’s recollections were also correct. Rosa Belle is listed in the 1914-1915 Straight University catalog in college preparatory to become a teacher. Now, 100 years after my great aunt began her professional training, I’m beginning mine. That has to be a good sign, or at the very least, a kiss from my ancestors.